When I came home from watching the "Iron Lady" with my two English conversation groups I found I had caught two more mice. That makes 10 in all! My grandson and I, Christopher Thomas aged 3, took these to the same place in the woods where I let the other one free. They did not seem to want to leave the safety of the trap. 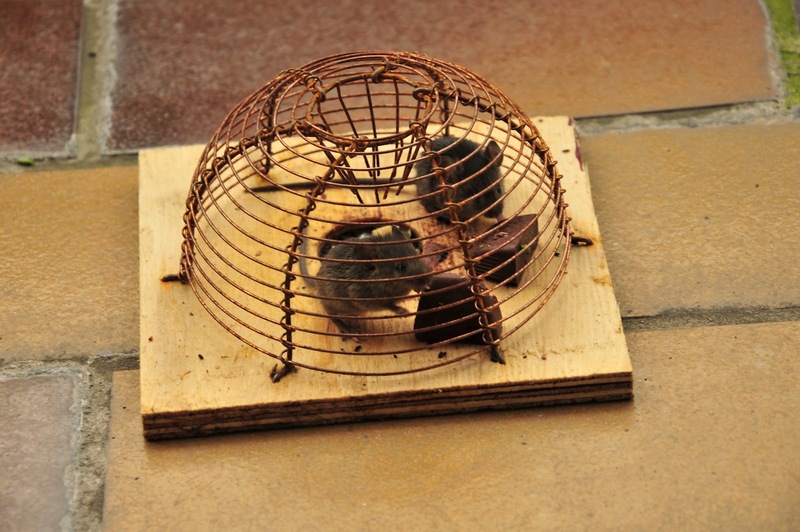 The family all agreed that they looked really sweet and that perhaps I should keep them in a cage as house pets! I thought not. What still I cannot get to grips with is that they all live in my window box, although they have dug a hole through the wall, so they can get into my flat, which they only occasionally do. All my captures have been in the window box! I am thinking now of flooding the window box once the holes have been filled in.